Canadiangeneric.com is now for sale. I visited the store’s web address and instead of being greeted by loads of generic treatments, I was welcomed by an almost blank site whose domain is now for sale. There was no online information regarding this store’s closure, but it’s likely that the shop failed to maintain its domain registry due to a low volume of sales. Information for the domain Canadian Generic isn’t abundant online, so in order to gain more insight on this web pharmacy, I had to look into its former records on the web archive. There I discovered that Canadian Generic had records as early as 2004, although it’s just because the domain name Canadiangeneric.com was owned by other companies before. The shop, compared to other online pharmacy platforms, has only offered generic erectile dysfunction treatments, and nothing more. Instead of offering a full range of various generic and brand name products for a host of clinical conditions, Canadian Generic only had medicines for male impotence, medicines from renowned generic Indian manufacturers. According to the Canadian Generic store, all of its medicines were from ISO 9001 approved companies with WHO GMP certifications. 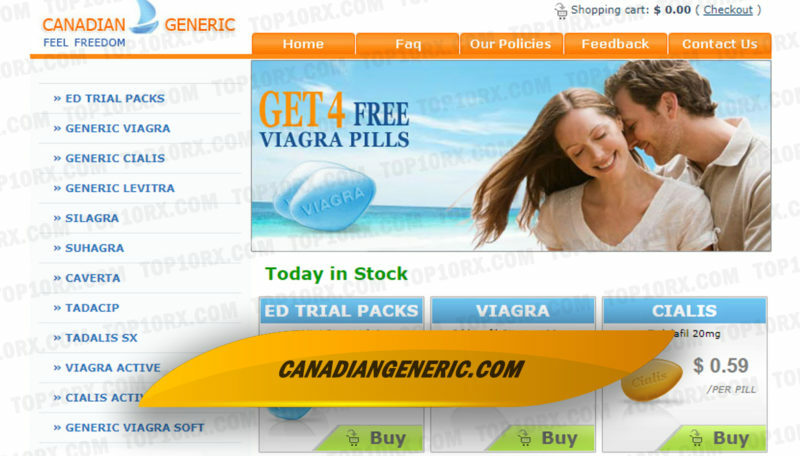 Canadian Generic did not require prescriptions for any of its erectile dysfunction products even if these medicines would need actual prescriptions from doctors. However, Canadian Generic suggested that its customers consult their doctors first before using any product from the Canadian Generic website. Since some of the sections of Canadian Generic were inaccessible even via the web archive, I wasn’t able to discover how much the shop charged for the shipping. However, I was able to know that Canadian Generic offered two shipping options (one regular and one expedited option) and that the shop accepted only VISA credit card payments. As much as I would like to share when and why this store closed down, there is very little online information for this store so I was unable to determine these details. The shop now remains closed and silent about its closure, without so much as providing a hint for its former clients on what really became of this online pharmacy. Naturally, the reviews on Canadian Generic were positive since they were on-site testimonials. According to one user named James, he recommends the store since it was great to use. Ali, from Morocco, has also confirmed that he has received his order from the Canadian Generic store. According to Ali, the Canadian Generic shop was reliable. Charlie, from New York, has also confirmed that his order arrived without any problems. He thanked the Canadian Generic store for a job well done. Even if the Canadian Generic on-site reviews were positive, these reports weren’t absolutely reliable since they were only found on the platform. Most of the time, on-site testimonials are positive and poorly reflect the true nature of the online pharmacy they are found in. Canadian Generic did not have 2018 reviews for its service, so what I did was to check unseen details for Canadian Generic using third-party platforms. Honestly, there was nothing much about Canadian Generic on the web even as I checked the third-party review sites, which means that Canadian Generic may have closed a long time ago or that Canadian Generic was super unpopular with customers. According to the assessment result I have obtained, Canadian Generic was a store with an average trust score. However, the result for Canadian Generic shows that the shop has had a malware report in the past. The shop was indeed traced back to Canada, but the location details for Canadian Generic were inconclusive. I searched for coupon codes on the Canadian Generic store, but the shop appeared to have no buyer codes for its consumers. The store, however, has offered free 4 Viagra pills, but the store had limited details for this offer. I tried to check if the shop offered bulk order prices for its buyers, but the archived records for Canadian Generic did not have price lists for its items. The shop Canadian Generic was indeed located in Canada, but unlike most online drugstores appended with the term Canada, the shop only sold generic impotence treatments instead of offering a wide range of products for various medical uses. All of the products on Canadian Generic were from Indian manufacturers and were available for the cheapest of prices. However, overall, there is really nothing peculiar about Canadian Generic – it’s just like your average online pharmacy that hard to distinguish from other existing online drugstores. Canadian Generic is now closed, so buyers who were former patrons of this shop should look for new places to buy their medicines from. Everyone needs a breather, like Shelley, who has recently quit her job as an analyst at a famous tech firm. She came to terms that money should not be the end goal for everything, and with that realization, she has now built her own foundation that helps train physically challenged individuals and groom them for jobs, mostly for tech and online work opportunities. 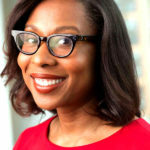 Top10rx.com is only one of the many websites she built to help make the web a better place for users.